How to Find Duplicates in iPhoto Quickly – iMobie Inc.
How to quickly find duplicates in iPhoto? 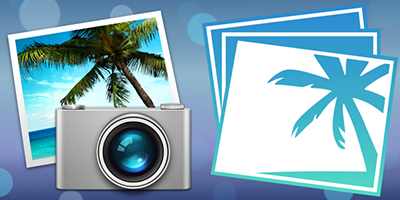 Here we provide you a quick way to find duplicate photos in iPhoto. 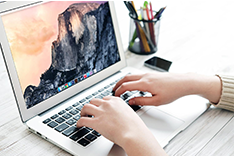 Freely get MacClean installed on your Mac to find your duplicate photos in iPhoto after reading this post on how to find duplicates in iPhoto. 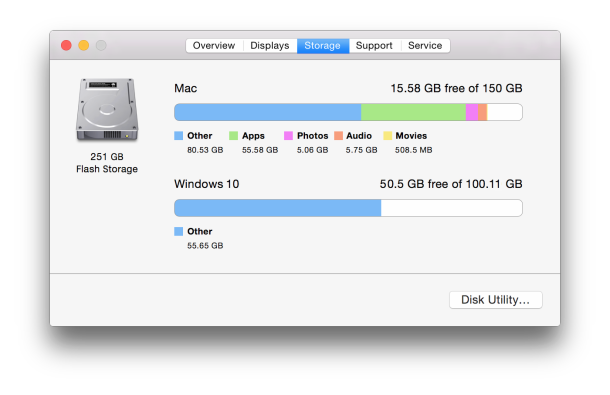 Q: "My iPhoto on my Mac contains multiple duplicates of my photos. I assume this is because of automatic syncing with my iPhone, so I have turned of the sharing until I figure it out. But is there a way to get rid of all the duplicates quickly without going through them all?" iPhoto is said to be one of the most sophisticated Mac apps available for managing your photo library. 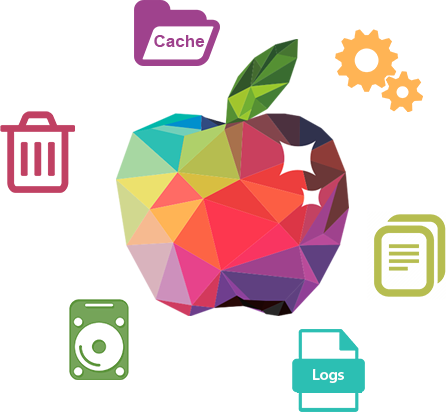 It allows you to organize, edit and import photos from your iOS device. However, duplicate photos are created in your library when importing photos from different iDevices. iPhoto doesn't offer you a way to track them down for clean up your library later. MacClean, is everything you need to find out the duplicate photos in iPhoto. 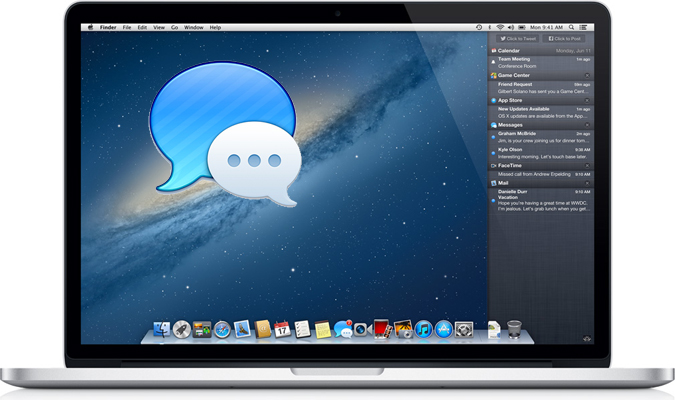 It is a free and powerful Mac cleaning software made for all Mac computers like MacBook Air, MacBook Pro, iMac, etc. It supports cleaning up your iPhoto by finding out and removing duplicate photos in your iPhoto library. 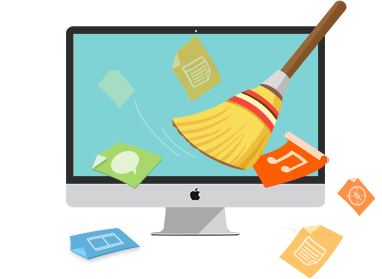 In addition, MacClean manages to cleaning out Internet junk, user junk, system junk, and application junk on your Mac, which can greatly speed up and free up space on your computer. Step 1. 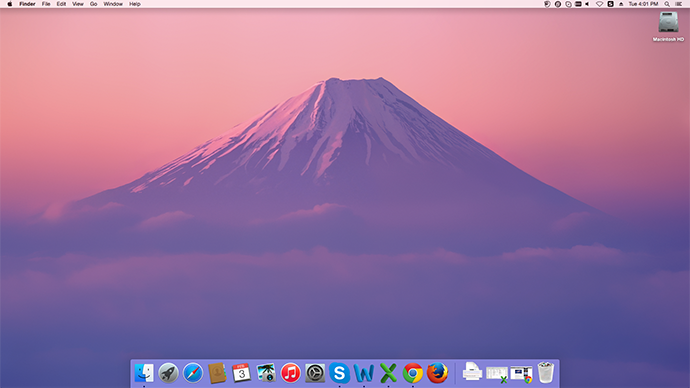 Firstly, download MacClean for free and install it on your Mac. Step 2. 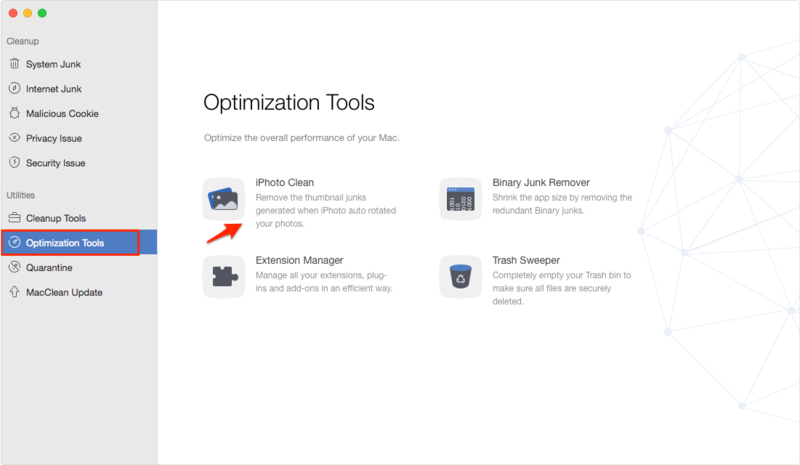 Choose Optimization Tools, and select iPhoto Clean. MacClean will scan your iPhoto Library and find out the duplicate photo thumbnails. Step 3. Select the duplicate photos you want to delete, and click Clean. Finding duplicates photos in iPhoto should be as easy as ABC, and MacClean is the simplest way to achieve this goal. 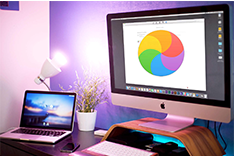 Try MacClean for Free Now. If you have any questions on this guide or MacClean, please let us know in the comment section or via Email. Meanwhile, don't forget to share this post with your friends if it is helpful to you.